PLEASE BE ADVISED – YOU MUST BE ABLE TO SWIM INTO THE BATHS DUE TO A ROPED OFF SNORKELING AREA. If you are not a capable swimmer, please check out our other destinations. 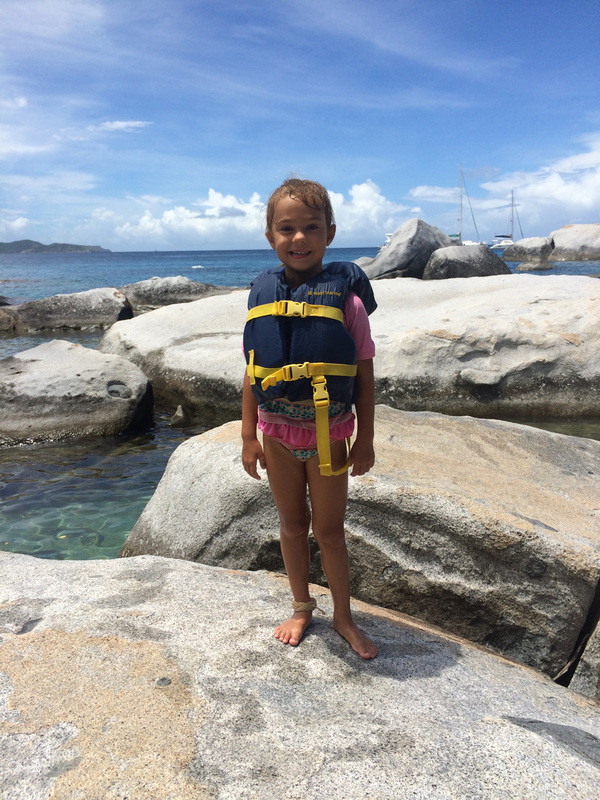 It takes approximately 2 hours to sail to Virgin Gorda and is the only stop for the day so you get to enjoy the time at the Baths. 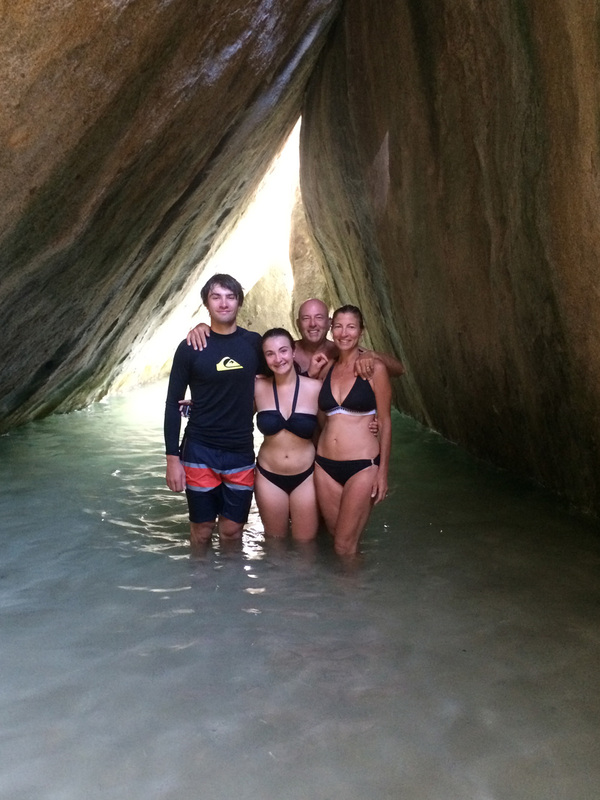 There are few places on earth that are quite so stunningly beautiful, quite so awe inspiring as The Baths on Virgin Gorda’s south-west point. 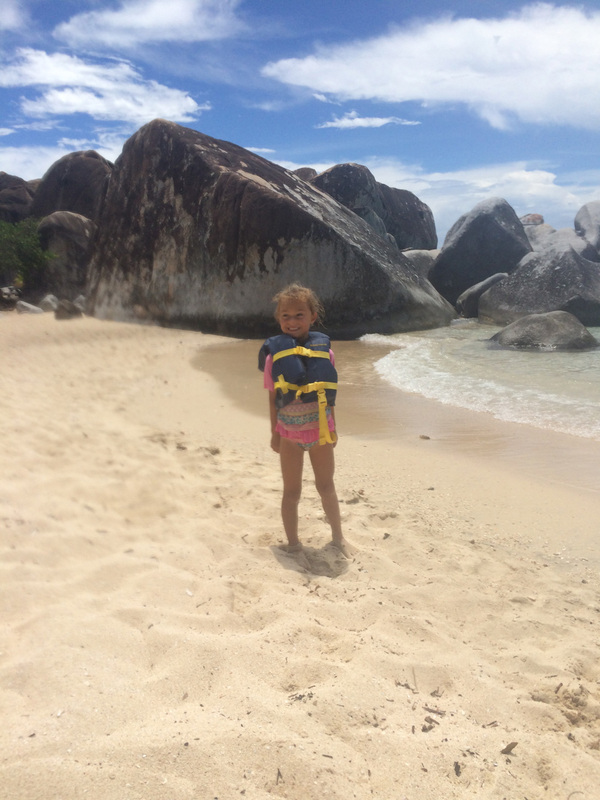 The Baths are situated about 1.2 miles south off the main town at the southern tip of the island between Spring Bay and Devil’s Bay. 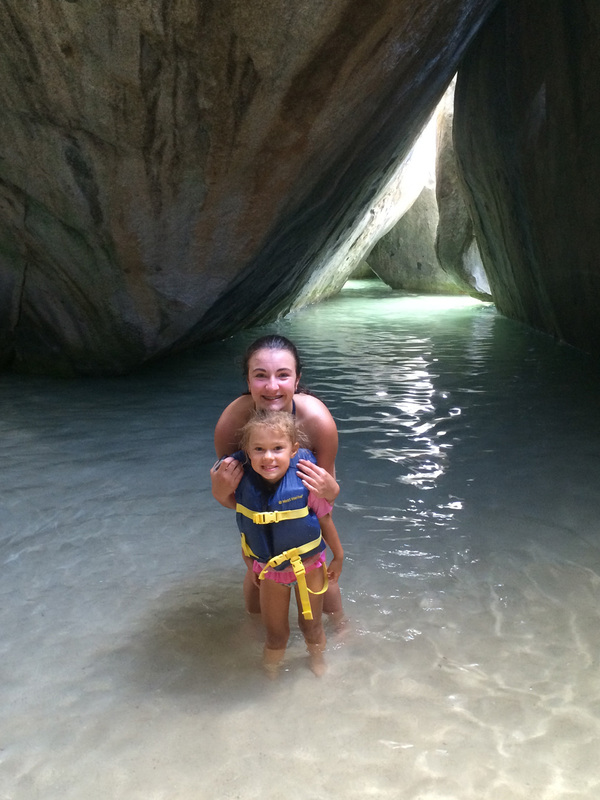 The Baths are an area of unique geologic formations and one of the BVI’s major tourist destinations. On a stretch of coastline that runs for about a mile, it’s almost as if the hand of a giant sprinkled boulders randomly onto a white sand beach. Some rolled to a stop near the water while others piled high; some balanced precariously one on top the other, and yet others cracked on impact. In reality there is a geological answer to the spectacular formations at The Baths. For yachtsmen, The Baths is undoubtedly the most popular attraction in the B.V.I. and in order to explore it in depth at least two days are necessary. Many though, find that a few hours is enough to catch a glimpse of this natural wonder. The entrance to the Devil’s Bay Trail is at the southern end of the beach. Enter by crawling through a narrow cleft between two boulders and you come to the main cavern with a large pool of clear sea water. From here on the more difficult parts of the trail have been fitted with handholds and strong wooden platforms and ladders. Along this section of trail you will see some good examples of hollow boulders, the most spectacular being Neptune’s Hideaway. 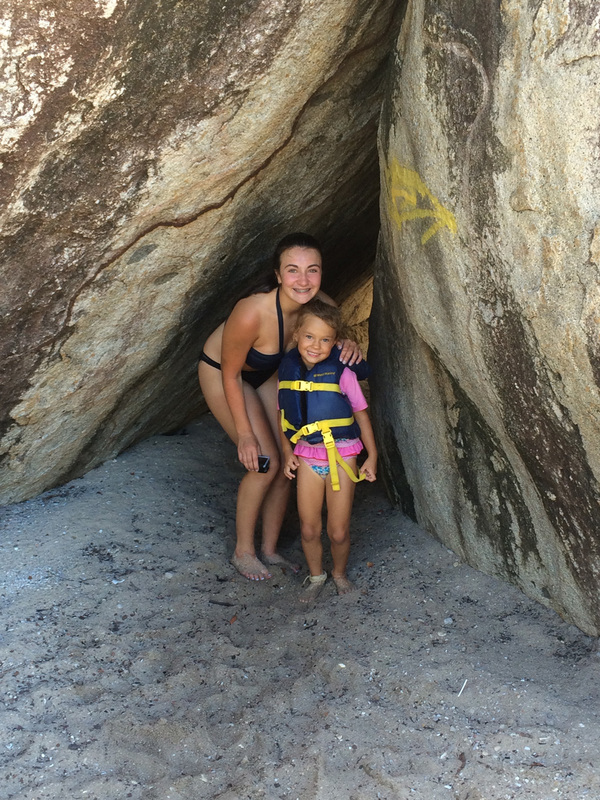 After the main cavern go up the slippery sloping rock with the help of a rope to hang on to. At the next ladder up look back and there it is: incredible, with a hole right through it. When the sunlight shines through the cracks, its rays light up the pools in a dramatic fashion. 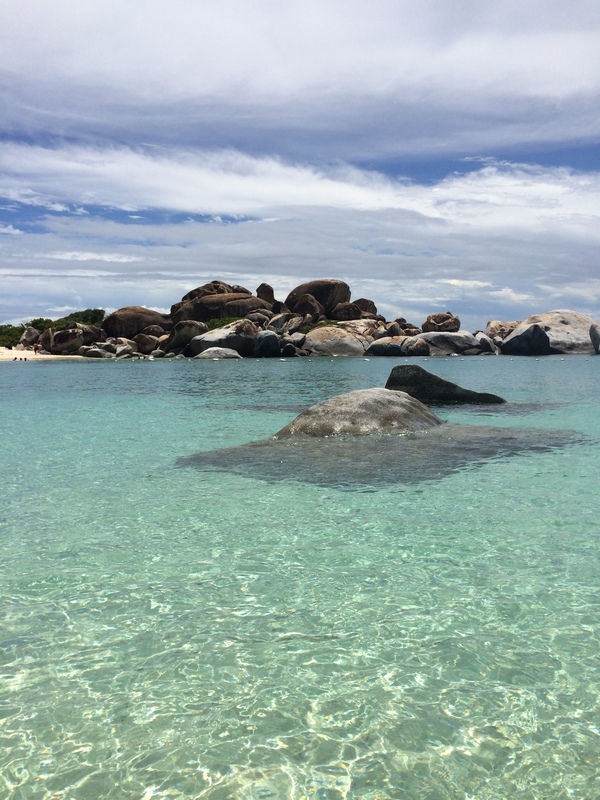 As you approach Devil’s Bay look out for the Anvil, an impossibly balanced rock that looks like it would topple at the faintest touch… and it’s been there for 50 million years! It is surrounded by crystal clear turquoise water and is a great snorkeling spot. 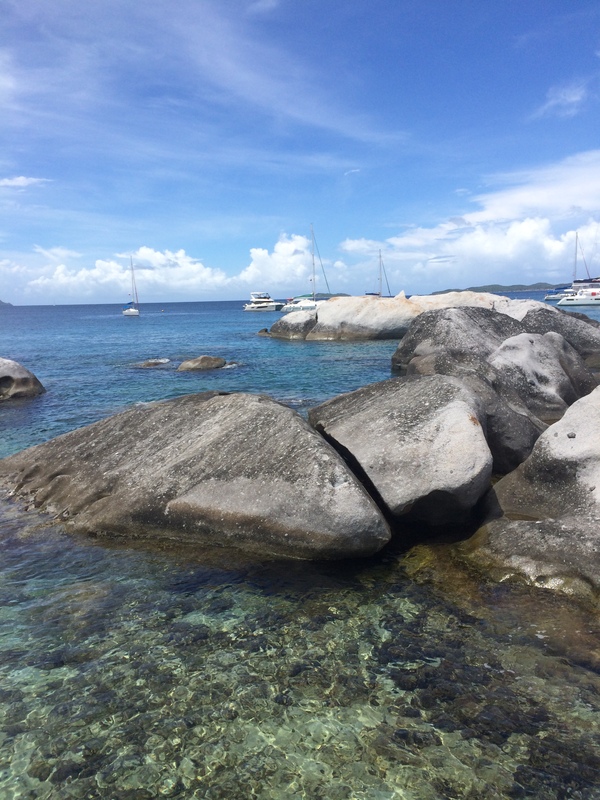 The boulders eventually become less numerous and finally you exit the trail at beautiful Devil’s Bay. What a great place for a snorkel, swim and a rest. Book your charter for the Baths today!